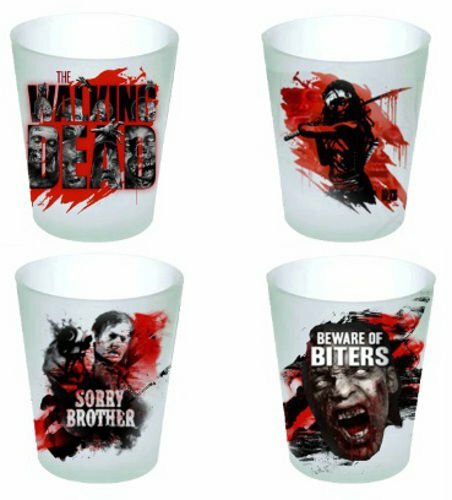 Do you have a boozy geek or gamer to buy a gift for? I know many gamers like a beer or two whilst playing their games and I guessed that other geeks probably would too! 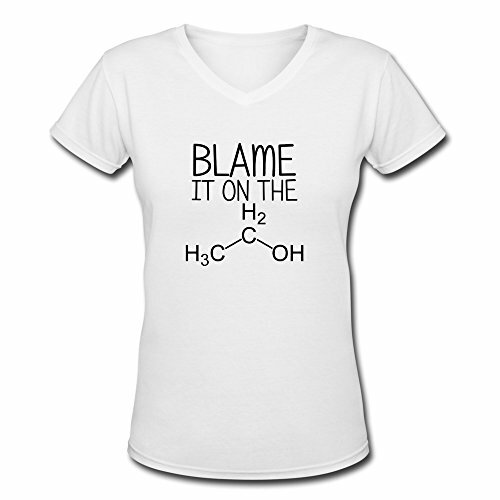 Some of these would make great Secret Santa gifts or even stocking stuffers. 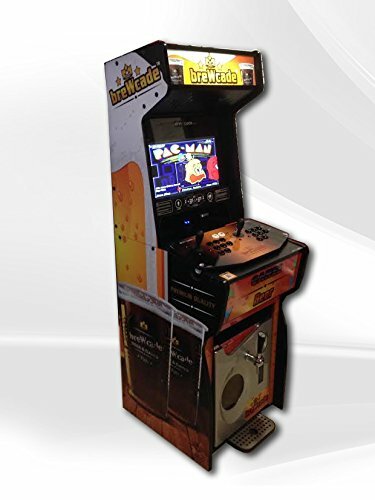 I’ve found some great ideas for you and although it’s expensive, this video arcade cabinet with built in kegerator just had to take pride of place in today’s gift guide! It has a built in PC with an emulator so it has over 100 classic arcade games already installed and has room in the bottom section for two mini kegs so you can enjoy draught beer on tap! 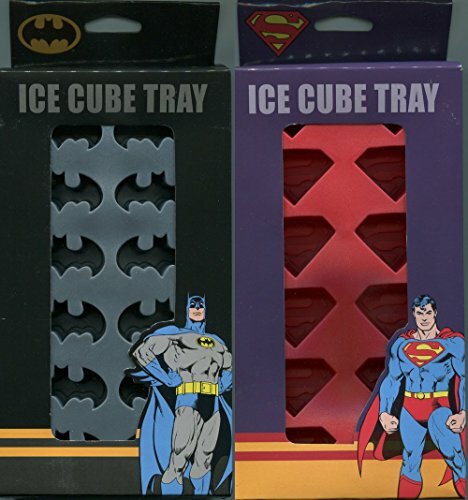 Perfect for his man-cave and one way of getting him out of your hair for a few hours! 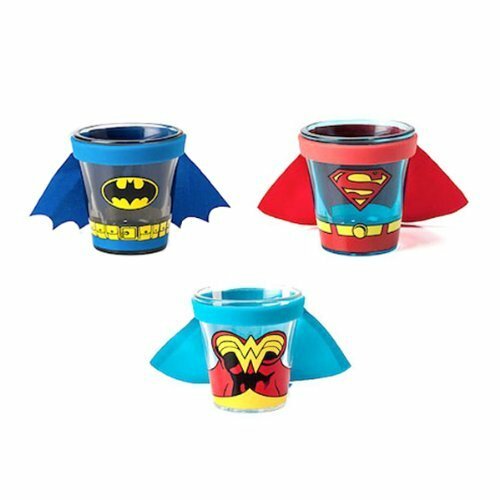 If beer is not your thing – perhaps this selection of shot glasses might be a better choice – from superheroes to cute robot heads – there’s loads of shot glasses available so I just chose to show you my favorites. 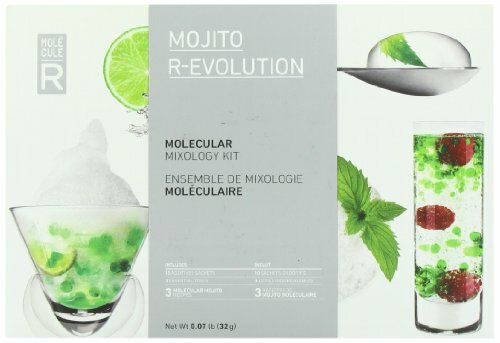 Actually finding alcohol related gifts that aren’t just samplers of actual alcoholic drinks was quite difficult but when I saw this molecular mojito kit, I thought it would be perfect for a foodie geek – learn how to make mint caviar or tasty foams for a mojito with a difference! 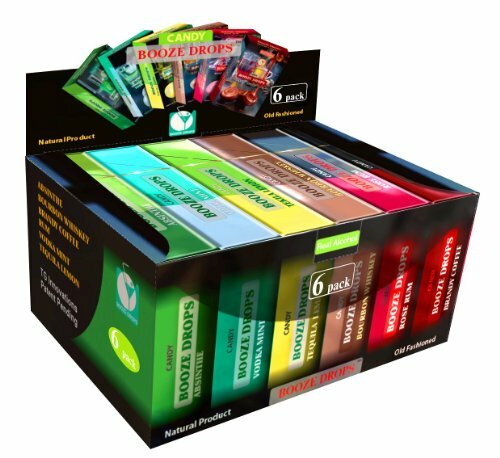 The booze drops variety pack is a selection of hard candies that contain actual alcohol – quite a weird mix of flavors in there though. A nice hip flask is something that can be a surprising but lovely gift. 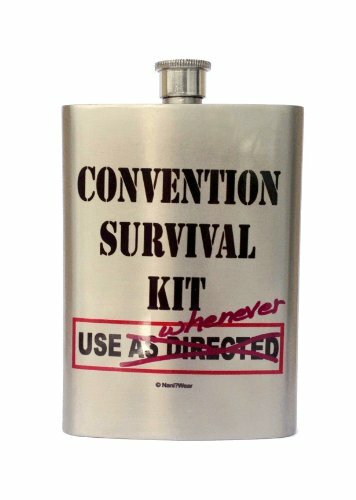 I don’t know many people who ask for a flask on their Christmas list but I know a few guys who were mighty pleased to receive one! 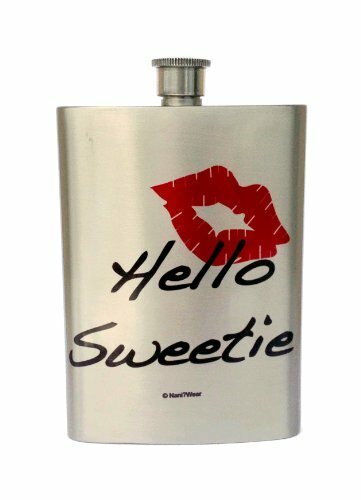 This Doctor Who flask features the phrase ‘Hello Sweetie’ from the 10th Doctor seasons. 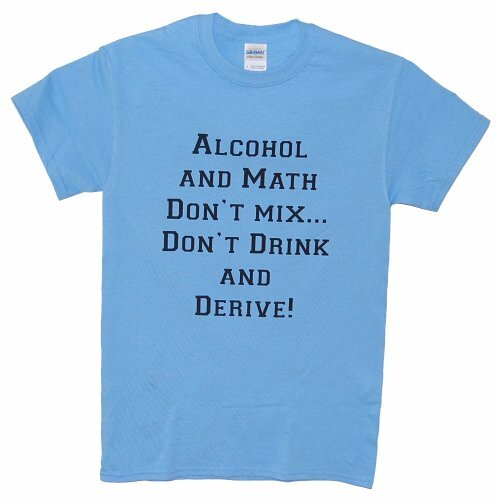 I was almost a math geek in my youth so when I saw this t-shirt, I did actually laugh out loud and just had to include it – it’s so clever. 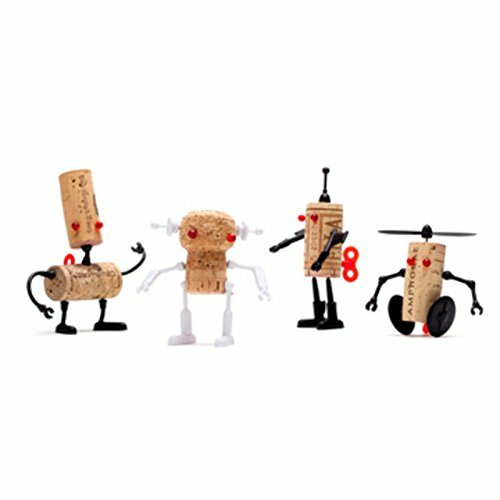 Other ideas I found include printed beer glasses, drip mats or even home brewing kits but I’m sure you can find the perfect boozy geek gift now that I’ve set your mind down that path! 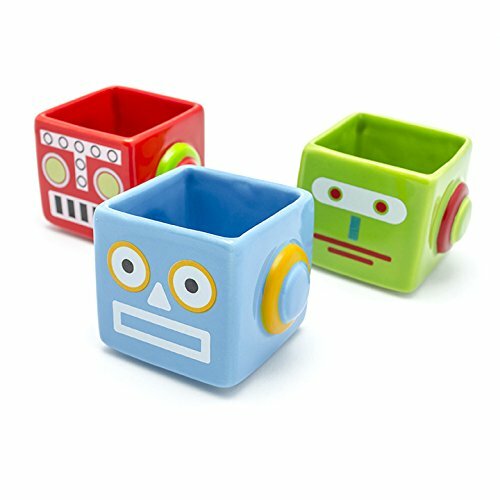 If you have a problem geek or gamer to buy a gift for, you are more than welcome to contact us for help by leaving a comment here, on our Facebook page or on our Gifts for Gamers sub-reddit and we’ll do our best to come up with some ideas for you. ← 14 Ideas for A Very Merry Doctor Who Christmas!